Should you not find your question answered below, please do not hesitate to contact us and we will be happy to assist you. Click on your desired product from our SHOP page. Select a size and quantity and ADD TO CART. To view your cart, click the CART button on the top, right-hand side of your screen. If you are happy with the contents of your cart, proceed to click the CHECKOUT button. Fill out all the required information about your purchase and continue by clicking PLACE ORDER. You will receive an email confirmation of your purchase, please check your spam folder. If you are paying via EFT, don’t forget to send proof of payment so that your order can be processed. Question CAN I CHECKOUT AS A GUEST? AnswerYes, you are very welcome to checkout as a guest. However, we do encourage you to create an account with us so that next time you order, you will not be inconvenienced by having to re-enter all your details. Question HOW WILL I KNOW THAT YOU HAVE RECEIVED MY ORDER? AnswerOn successful completion of your checkout you will receive a confirmation email (please check your spam folder too). If you have chosen the EFT payment option you still need to make payment and mail the proof of payment to info@pitta-patta.com. (Our banking details are on the confirmation mail or you can get them off our website under “Banking Details”). Once your order is approved you must ensure we receive confirmation of payment at your earliest convenience. Pitta-Patta cannot be held responsible for delays if we have not received your payment confirmation. If you have chosen the ‘Payfast’ option your order will be processed. The confirmation email is automated which you and Pitta-Patta will receive once your order has been successfully completed, please check your spam folder. Question WHERE IS MY INVOICE? AnswerShould you need an invoice, go to the My Account page which can be accessed by clicking on the ‘person icon’ on the top right hand corner of your screen. From your account dashboard, click on ORDERS. 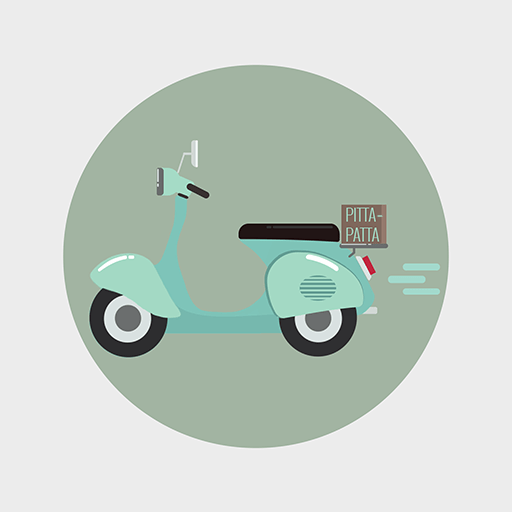 You will see a list of your orders with Pitta-Patta and will have the option to view/download your invoice. *Please note that in order to obtain a invoice you will need to have an account with us. Question CAN I ORDER VIA EMAIL/PHONE? Answer You are welcome to do so. We do prefer you order online though. The pro of ordering over the phone is that we get to speak to you as our customer, which is always nice, but the downside is that there is no paper trail and mistakes can creep in. Ordering via phone or email normally takes longer to process because inevitably we will need info and then it becomes a bit of a “ping pong”. Which brings me back to the method which is the best by far…order online. Question HOW DO I RETURN OR EXCHANGE? AnswerTo return an item, please see the Returns & Exchanges section. Question HOW DO I CLEAN MY PITTA-PATTA SHOES? AnswerTo learn how to clean your Pitta-Patta shoes, please visit the Cleaning Information page. Question CAN SHOES BE CUSTOMISED IF A LITTLE ONE'S FEET ARE NARROW OR VERY WIDE? AnswerYes, A note requesting this should be entered in the notes section when in checkout and we will then contact you. Please note that any customised shoes will be non-refundable and non-exchangeable. AnswerThese sizes are made to your specifications and are therefore not exchangeable or refundable​. Question CAN THE ELASTIC BE MADE LOOSER IF YOU THINK IT MIGHT BE TOO TIGHT? AnswerYes, A note requesting this should be entered in the order notes section when in checkout and we will cut the elastic length according to your request. Please note that any customised shoes made to your specifications are therefore not exchangeable or refundable​. Question CAN I CUSTOMISE THE COLOURS FOR MY SHOES? AnswerYes, your request should be entered in the order notes section when in checkout. Please use other shoes on our website to reference any colour changes you would like. Question HOW DO I MEASURE MY LITTLE ONE'S FEET? AnswerSTAND your little one on a blank piece of paper and trace around the edge of his foot. Then measure from the big toe to heel. ADD 7.5mm for growth and socks. If you are worried that his/her bridge will be too high, measure (with him/her standing) from the floor on the outside of his foot, over the highest part of his bridge to the floor on the inside of his foot and add those measurements to the customer comments box.